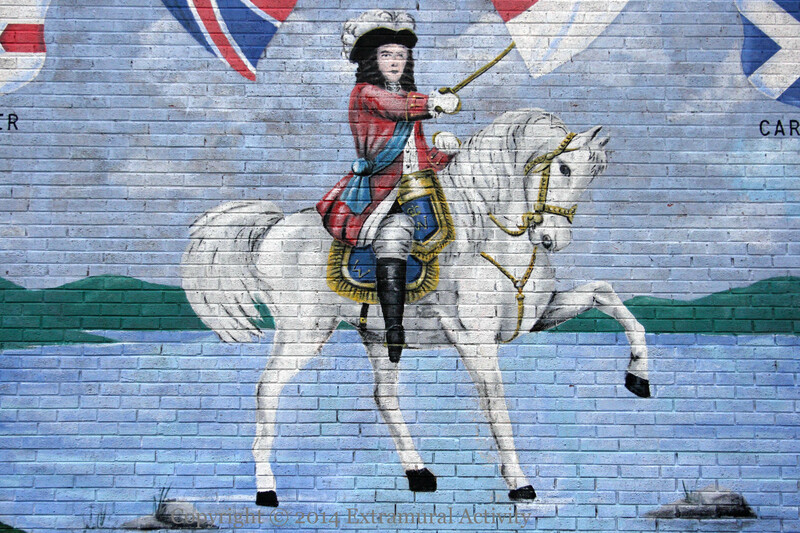 Detail from the ‘Andrew Murphy Memorial’ mural (full mural below) at the top of Grange Drive, Ballyclare, showing King Billy crossing the Boyne. 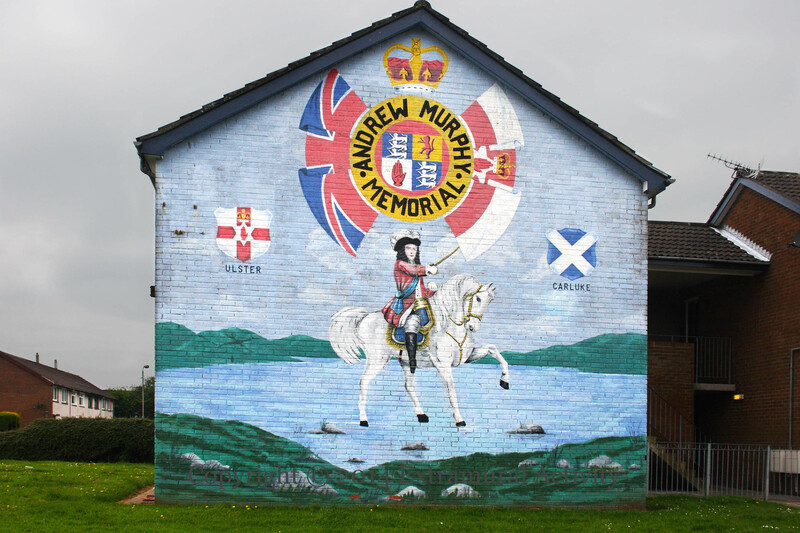 ‘Andrew Murphy Memorial’ is a flute band from Carluke, Scotland. According to the band’s Fb page, the band was formed in 1988 and named after a member of the Carluke Orange Lodge (LOL 190). Here is video of the band parading in Belfast, at the UVF centenary celebrations last year (2013).